Looking for the best SEO Services In Orlando? We, Devsyntech, are always there at your service. Whether you’re new or experienced in the business world, there’s no need to make you realize how important online marketing is for your business. And of course, you should have already understood the importance of SEO services for your business promotion. No matter how much you try to grow your business, it’s always pointless if you don’t go with the proper SEO. Don’t take SEO too lightly. It’s not everyone’s cup of tea. SEO requires vast knowledge and proper understanding. Are you afraid of going through this SEO process? Don’t worry. You don’t need to be a pro. Here we are. Devsyntech will provide you with all the SEO Services In Orlando you’re going to need to spread your business online. We all know what SEO is and the result of smart SEO. But, has it ever bothered you that how it actually works? Do you have any idea? Well, of course, every single thing has its own way to process, so does SEO. If you’re interested in SEO Services In Orlando, have a look at the process behind the scene. The very first step for a smart SEO is doing proper research on Keywords and create Keyword Clusters. Now, what’s Keyword Custer? Groups of high volume Keyword Phrases are called Keyword Clusters. All the Keyword Phrases contain one main Keyword. When people search for any service or product they use to go with some specific words instead of the whole thing. And SEO does proper research to find those Keywords according to your business or services. Even the Keywords should have accurate balance or density. Perfect balanced Keywords will lead your business to appear in the first page of search engine results like Google, Yahoo, or Bing. Less or more Keyword density will equally hamper your website or business profile. Now it’s time to match the Keyword Phrases of your Keyword Clusters to your website contents. This procedure itself has step by step procedures. From each Keyword Cluster, there’ll be one Keyword for each page of your website. In each Keyword Cluster, there’ll be one main keyword phrase, especially for your website homepage. Next focus will be on the main navigation pages. The next most important keyword phrases are preserved for such pages. And that’s how the procedure keeps going on. And if required, you have to create and include new pages on your website according to the importance level of your keyword phrases and also your target audience. How could we forget about social media? Social media rules the whole world today. To get highly promoted all over the world, social media citation has no comparison. It’s not just about having social media accounts like Facebook, Pinterest, LinkedIn, Google Plus, or Twitter. It’s more than that. These accounts or pages should have regular maintenance and activities. You have to be one of the highly referred companies on social media. It’s always crucial how they refer you. You might have seen that there are websites that provide reference links to other websites. It’s also a key element of search engine optimization. Search engines keep records of such websites who have more linking to their site from other sites. And they rank your website according to such type of offsite website linking. When other websites link to your site, it’s a positive sign for search engines to rate you positively. The more they link to your website, the higher rank your site will get. And you know how important to get high ranking to get in the first page of Google, Bing, or Yahoo search results. Now you know the basics how SEO Services work. Here is a little view just to remind you of how Dev Syntech works with SEO Services In Orlando. First of all, we go through a deep analyzation of your website according to our strategy. We do proper research on keywords that best suit your website or business. To understand your competitors and competition is also important to us. We pay proper attention to analyze how competitive your business is. We never forget to optimize the page titles and tags for every single page of your website. Not just page titles, we certainly take care of your contents for each page and their headlines. If required, we provide content re-writing services along with the SEO Services. Every other single step, optimization, or onsite/offsite profile linking, local business listing, local SEO services come with our SEO Services In Orlando. Now you know about SEO, what SEO is and how it works. The importance of SEO is beyond mentioning. Though it’s going to take six to twelve months for SEO to work successfully, there’s nothing better than SEO for your business to spread worldwide. Want to see its super amazing performance yourself? You just need to be patient. 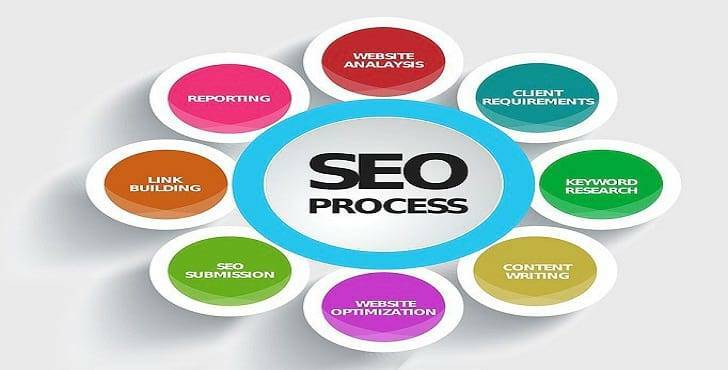 Dev Syntech will leave no stone upturned to provide you with the best SEO Services In Orlando and to assist you to grow your business successfully.